The Brenau Scholars Program recognizes those who, as the Brenau Ideal states, “find satisfaction in being rather than in seeming,” and “find joy in doing rather than in dreaming.” The young woman chosen for this program use their talents, ambition and brilliance daily to pursue their goals, and to excel in academics, community service and extracurricular activities. These inspiring individuals epitomize what it means to be the ideal Brenau student. Awarded annually to incoming freshmen who go through a rigorous selection process, the scholarship grants full residential tuition. It is renewable each year, under the stipulation that the Brenau Scholar student upholds a 3.2 grade point average and maintains her involvement in the university and community. The class of 2020 Brenau Scholars is the largest group ever to be awarded this distinction, a total of 12 young women who excel in everything from the fine arts to health sciences, fashion merchandising to business. 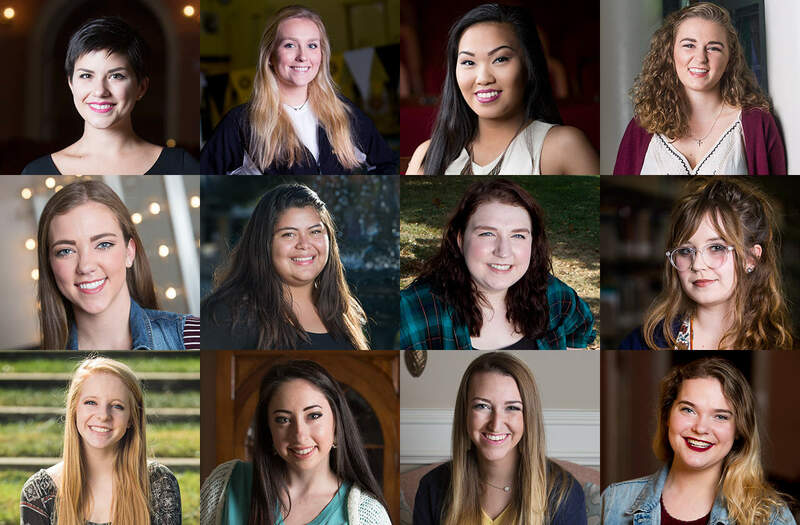 Learn more about Mae Allison, Cynthia Ayala-Mata, Abby Cape, Rachel Christina, Katherine Davis, Alyssa Eblen, Lauren Hill, Jasmine Holt, Anna Rose, Daniela Santiago, Ashton Stockdale and Hallie Storms, and the stories of their unique experiences and choices that make them Brenau Scholars.